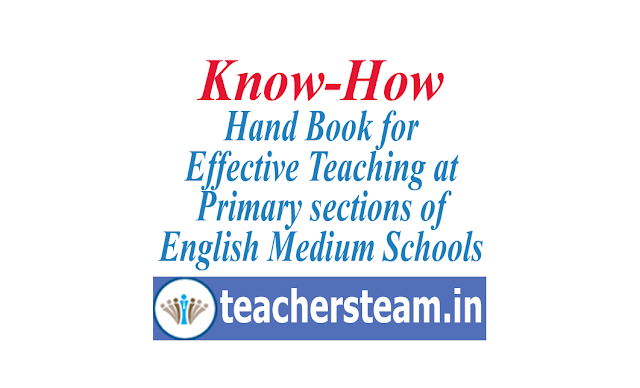 This Book "Know -How" mainly focuses on providing the language support to primary school teachers in the transaction of English Medium sections. It aims in developing communicative skills among the teachers and helps to improve transactional skills not only in English but also in other subjects like Mathematics and Environmental Sciences. On the whole, this” Know-How” targets on providing a wide range of learning experiences and resources to the primary school teachers. Teachers have to develop the understanding of the shift from Telugu medium to English medium in teaching the contents of the textbooks to achieve the prescribed academic standards. Passing the examination is not the sole aim of teaching English but helping them to explore various sources and use language meaningfully in their day today lives.